Home » Exclusive Interview: Steve Alten Talks Meg And More! Exclusive Interview: Steve Alten Talks Meg And More! 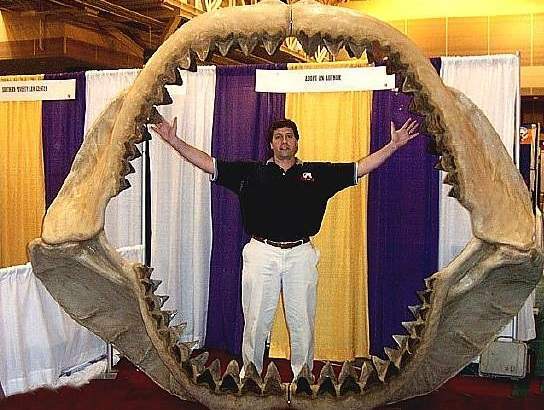 Steve Alten is the author of the popular Meg series, about a massive prehistoric megalodon shark awakened in the modern era. There are five books in the series, with the fifth having just hit stands, and the first slated to become a major motion picture starring Jason Statham. Originally published in 1997, Meg immediately sealed a movie deal, but has taken the better part of twenty years to get off the ground. Now, finally, we’re closer than ever to seeing that reality and fans of the franchise could not be happier. We caught up with Alten to talk about the series, keeping it fresh, the possibility of future adaptations and much more. Wicked Horror: I know you put a lot of work into getting that first Meg book published. Where did the initial concept come from? Steve Alten: The initial concept came from–I picked up in 1995 an issue of Time Magazine with the Mariana Trench on the cover. Reading about the articles, reading about the vents and this unexplored gorge at the bottom of the ocean, you know. The idea came to me about Megalodon possibly being down there when I was younger, when I was a teenager. Jaws had come out and after reading that I basically devoured any scientific books on great white sharks. There was always a little blurb about Megalodon, the prehistoric cousin of the great white, usually accompanied by a black and white photo of six nerdy looking scientists from the Smithsonian in the Meg’s jaw. After I read the article, I went to the library because there was no Internet in 1995, and I searched and searched until I found the picture. Then I set a goal that I was going to write a treatment for a book and then write the book itself. And because I had a job, JOB—what I call “Just Over Broke”—occupying my evening hours I couldn’t write until I got home at 10 o’clock at night until about 3 in the morning. And on weekends. So I set up and old word processor on the dining room table and set about writing the book. WH: At what point did you realize this was going to be a franchise, and a series that’s lasted almost twenty years, at this point? Steve Alten: Well, I didn’t know it was going to be a series at that point, I was just trying to sell the first one. What happened was, we sold the first one to Double Day and Meg was—actually, my agent at the time sold the movie rights first to Hollywood Pictures. Then we took Meg out to the six biggest publishing houses in New York and it created a huge bidding war for the book because it had the movie deal attached. Hollywood Pictures cancelled the movie deal after about a year and a half when the president David Vogel was released. In Hollywood, you know, with the outgoing president of the company, any deals he signed get thrown in the garbage because the new incoming president doesn’t want to give him any credit for success. So the rights reverted and I have a friend, Nick Nunziata who was the founder of CHUD.com, and I told him the rights had reverted and he took them to Guillermo del Toro, a friend of his, and producer Lloyd Levin who had done Hellboy with him. They optioned the project and I wrote a screenplay for that. We took that and packed that together with Jan de Bont as director to New Line Cinema and they optioned it and attached a new screenwriter and went in a different direction. And they had trouble with their studio too. Eventually the rights reverted again and that’s when I took them to Belle Avery, a friend of mine, who’s a producer with a forte for raising money. And it was Belle who championed the project, she got it to where it is now. She’s was amazing, over seven years she got independent investors in China, Gravity Productions behind it, she basically had the picture financed when we took it to Warner Bros. for distribution and they loved it and said “We want a piece of it.” So that’s where we are. WH: What’s that like to have so many close calls over the years and see it finally come together like this, on a big scale, with people like Jason Statham joining the cast? Steve Alten: And John Cena just signed too, I understand. WH: What’s your involvement with the film at this point, with it about to head into production? Steve Alten: You know, as an author, once you sign over the rights… I’m kept abreast of things because Belle and I are friends, but it goes in its own direction and I just go for the ride and have faith that it will come out amazing. Steve Alten: Yeah, about that. Meg and The Trench were back-to-back, then Primal Waters came out about five years later, and Hell’s Aquarium about three or four years after that. It’s been a long time since a Meg book came out. WH: What’s it like to just jump back in with that much time between books? Steve Alten: You know what? It’s like an old friend. I know the characters so well and I really liked Hell’s Aquarium, I had so much fun writing that that I was really looking forward to writing Nightstalkers. A bunch of other projects had come up before then that I had to finish and I really thought Nightstalkers was gonna be it. But I had so much fun writing it and just I was gearing up to write the last few chapters, an idea came to me for an entirely new plot to pick up after this one left off. It will take the series in a pretty wild direction, so now we’re writing the next one. Meg: Generations. WH: I’m wondering what some of the challenges are, like of taking this singular concept and reinventing it for each new book so that they all stand on their own and feel different? Steve Alten: Well, that’s probably why there was such a gap between books. I knew what the sequel was going to be for The Trench, but Primal Waters took a while to get developed, and then Hell’s Aquarium went in a completely different direction and introduced a whole new set of sea monsters. It sort of opened up the franchise a bit. You can only write about the Megalodons so much. Lizzie and Bella have unique personalities but you have to bring in other characters in the form of sea monsters. And I was able to do that with Hell’s Aquarium. WH: And even in the second book, you started introducing the Kronosaurs, those sort of things, for me, have just helped it to always feel like the aquatic version of Jurassic Park. Looking at the five books that are now published, is there any one in particular that you feel best represents the series? Steve Alten: Well, the new version of Meg stands up as the best for me. Because it was my first book, I was a rookie and it was pretty raw. And I had always wanted to go back and rewrite it. I thought the writing needed to be improved, the character development needed to be improved, and also I had this prequel Meg: Origins which came out as an eBook but was too small to publish on its own. What I was going to do was simply add Meg: Origins to the front of the book and when I did that and continued reading into the original story, I realized that it didn’t work. My writing has changed so much over the past twenty years that it just didn’t match up. Because Origins was recently written and Meg was seventeen years ago. That gave me the impetus to just stop everything and rewrite Meg. I added new chapters, expanded the characters, expanded the scenes and added seventeen images that my graphic artist made for me over the years. It’s just a different read now. We repackaged it and put a pretty, new, wild cover on it—as you’ve seen, the surfer image, which was always my favorite scene in the original book. So I have to say the new one by Viper Press is the one that best represents the series. WH: Yeah, I really enjoyed the Revised & Expanded Edition. I was wondering, with that, going back and rewriting the original, how careful did you have to be of continuity so that you didn’t change anything too much? Steve Alten: That’s a good question. I had to be aware of it and at the same time I was also meshing it with things in Origins and didn’t want to repeat the things that were in Origins because the reader would just have read that minutes ago. So, that worked out really well because I was able to mesh it really tightly so that both books made more sense. Plus, putting Origins at the beginning of Meg also gives you an idea of how Jonas and Mac met. People who like the series really like their relationship. WH: Yeah, for sure. I’m also personally a big fan of The Loch and I was curious about what it was like to take something that was so infamous in pop culture and turn it into a serious work of aquatic horror? Steve Alten: Have you read Nightstalkers yet? Steve Alten: So you know that I meshed the two series together. 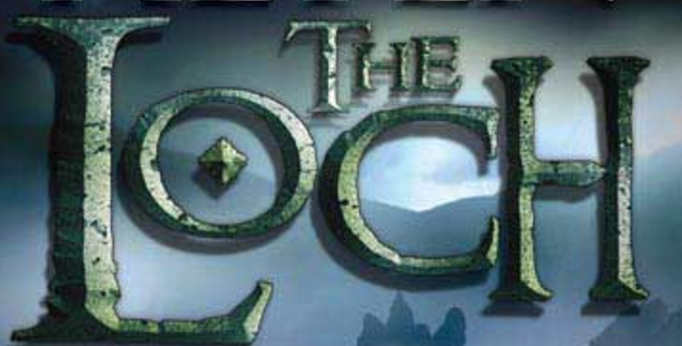 Writing The Loch, I was originally suggested to do it by my former agent Ken Lashley, and I only wanted to do it if it wasn’t going to be silly. I didn’t want to do it if it was gonna be a pleisiosaur which doesn’t make any sense at all. It had to be a creature that made sense scientifically and that would make for a great story. So I consulted a friend of mine who’s a cryptozoologist and forensic artist Bill MacDonald and he’s been to Loch Ness several times and he’s the one who convinced me what the creature was. Once I had that down it was a matter of doing a lot of research, piecing together—I was very detailed about it. There are no good maps of Loch Ness. So I had to create a map based on things that were out there. I had a nine foot map taped to the wall in my office so I could track the creature’s movements and the characters’ movements so that they felt that they were there. Because I had never been to Loch Ness and I needed to understand what it was like. And the more research I did into it, the more I realized that this is really a cool story. There’s a lot of history to this and there’s also a lot of scientific method involved, that this creature could still be out there. They’ve sort of romanticized it in Scotland that it’s this smiling, Disney-esque pleisiosaur. The reality is that it’s a type of fish that’s pretty menacing and has just grown very large for scientific reasons. WH: And that was also optioned as a film at one point, right? Steve Alten: Belle Avery has optioned that one. First she optioned Meg and then she optioned The Loch. And now they’re working on Sharkman. WH: Has there been movement on The Loch lately? Steve Alten: Yeah, that will start moving toward production pretty soon, once they decide which studio is going to do the film. And we have conversations right now with several. Meg Adaptation Secures Female Lead and Another Supporting Role!